Quinoa and rice are both major players in the whole grain game. With so many varieties to choose from (hello wild rice and red quinoa), it’s not always easy narrowing down which option to cook. But this guide takes you through everything you need to know to make a dinner game plan, every day of the week. goosefoot plant (chenopodium quinoa), a botanical relative of spinach, beets, and chard. The plant is native to the Andean highlands of Bolivia and Peru. Together, this region maintains seed banks of no less than 1,800 varieties of quinoa! From how to pronounce it to the best ways to use it, here are your top quinoa questions—answered. Quinoa is pronounced “keen-wah,” according to the dictionary. Yep! Since quinoa is technically a seed, it’s gluten-free. Technically, no, but it tends to get confused for one because most of the time, it’s cooked just like a grain. If you’re keeping a grain-free diet, quinoa is a pantry must-have—think of it as an option for everything from burrito bowls to rice pudding. Just be sure to rinse it prior to cooking, which will help combat stomach upset. Is quinoa a complete protein? It is! Quinoa contains all nine of the essential amino acids, making it a complete protein (and a particularly beneficial ingredient for vegan and plant-based diets). How many carbs are in quinoa? TruRoots Organic Red Quinoa has 30 grams of carbs per serving, which is about ¼ cup of dried quinoa, and ½ cup cooked. How long does cooked quinoa last? 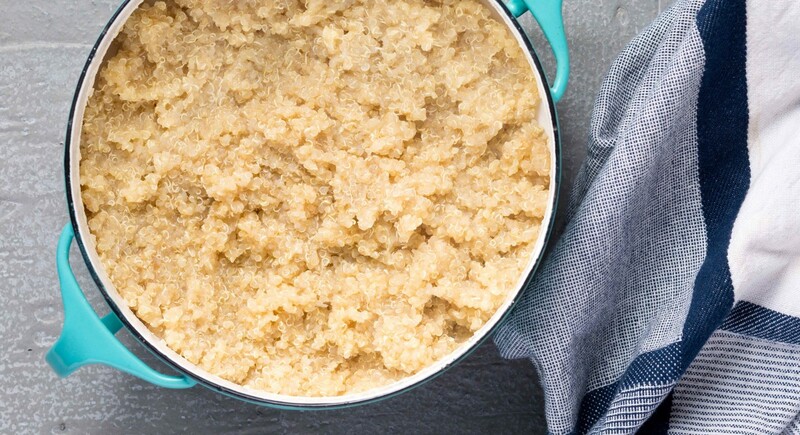 Refrigerated in an airtight container, cooked quinoa will last up to a week in the fridge. Your whole grain pantry really isn’t complete without a bag of quinoa at the ready. Here are our top picks! The ruby hue of this quinoa variety adds a pop of color to any dish, plus nutty flavor and nutrients like protein and fiber. This flour is nothing but ground-down quinoa, and it’s a great addition to baked goods like pancakes, breads, and muffins. Experiment with subbing it in for half of all-purpose flour for an earthy flavor that’s nutritious, too. This bag of quinoa comes pre-soaked, saving you a step in the kitchen. (If you choose to do it, soaking may help ease stomach upset.) Mill it into DIY quinoa flour and use it as a coating for fish or poultry, or toast it in a skillet for a healthy, crunchy salad topper. If you’re craving a crunch, snack on these chips that have the savory flavor of smoked hickory and are made with quinoa, onion powder, paprika, and other spices. Make your baby’s first food a wholesome one—a cereal free from gluten, dairy, soy, and egg. It’s perfect for little tummies. Just because you’re avoiding gluten doesn’t mean you have to skip pasta night. This box is made with only two ingredients: quinoa flour and corn flour. Need a fast side dish? This quinoa and brown rice blend is the answer. Microwavable (and flavored with garlic for extra punch) it’s ready for the table in only a couple of minutes. This morning porridge is a great way to greet the day. Use it in lieu of oatmeal or wheat-based options for a dose of 4 grams of protein per serving. Put this recipe in your back pocket so it’s ready anytime you need to make a batch of fluffy quinoa. Rinse quinoa in a mesh strainer and add to pot along with water and salt. Bring to a boil, then reduce the heat to simmer and cook, covered, for 10 to 12 minutes, or until all the water has absorbed. Off heat, let quinoa sit for 5 to 10 minutes before fluffing with a fork. Ready to get cooking with this nutrient-dense superfood? Here are the best healthy quinoa recipes. 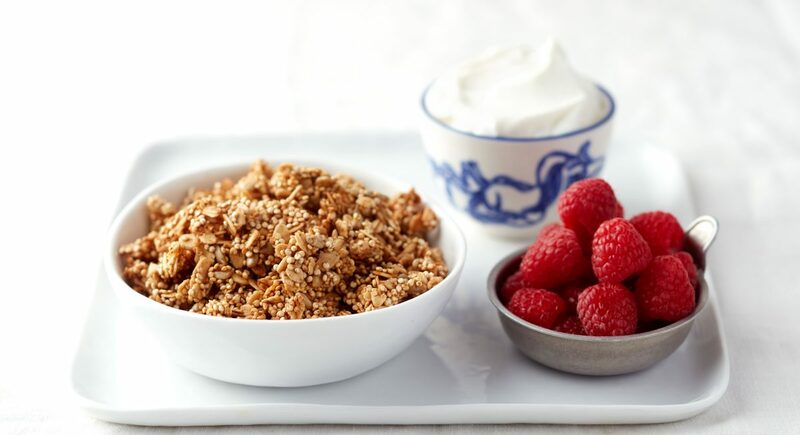 This gluten-free breakfast favorite gets serious crunch from uncooked sprouted quinoa, which adds a crispy texture to rolled oats and maple syrup. Your best brunch awaits! 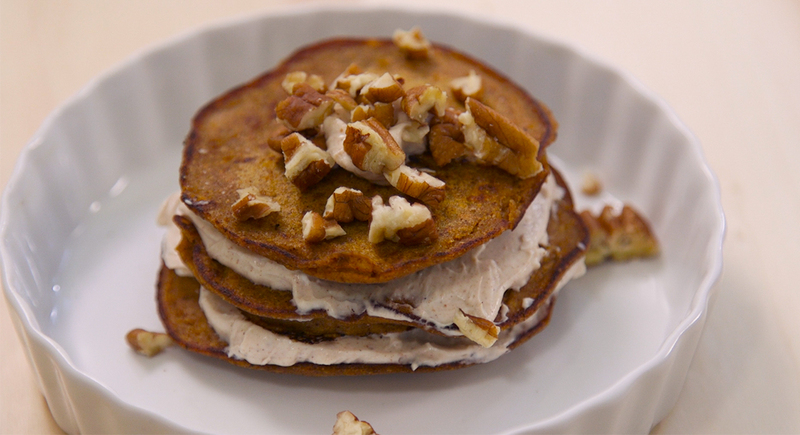 This short stack is gluten-free thanks to quinoa flour, and made with rich pumpkin for a distinctive, autumnal flavor. 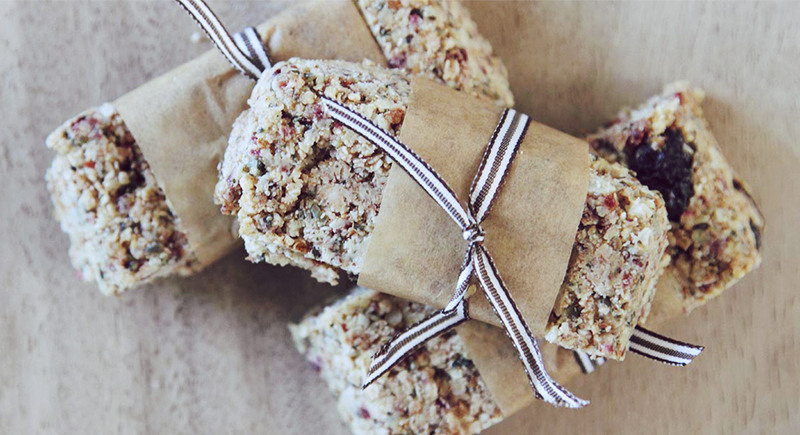 Turn regular ol’ rice bars into something extra special using puffed quinoa. 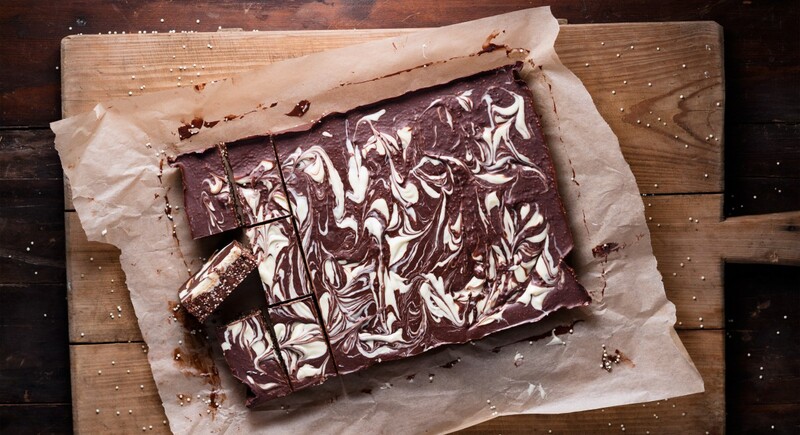 The decadent dark chocolate and creamy white chocolate takes it over the top. 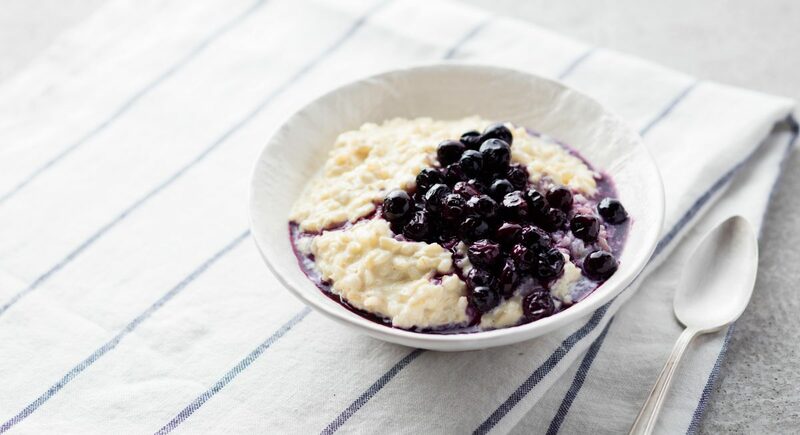 Here’s a superfood porridge perfect for breakfast or an afternoon nosh. Quinoa, almond milk, and ghee are topped with Greek-style yogurt and almond butter, and, for a sweet finish, raspberry jam. Breakfast on the run? Start your day with one of these chewy, no-bake quinoa bars packed with almonds, shredded coconut, chia seeds, pumpkin seeds, and dried cranberries. 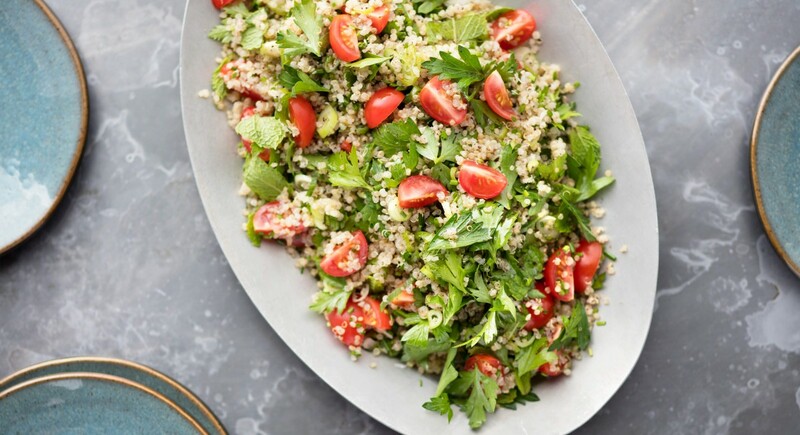 Opt for quinoa instead of bulgur in this side dish that brings together extra virgin olive oil, juicy tomatoes, salty feta, and plenty of fresh herbs to brighten every bite. Sometimes nothing beats a simple salad. 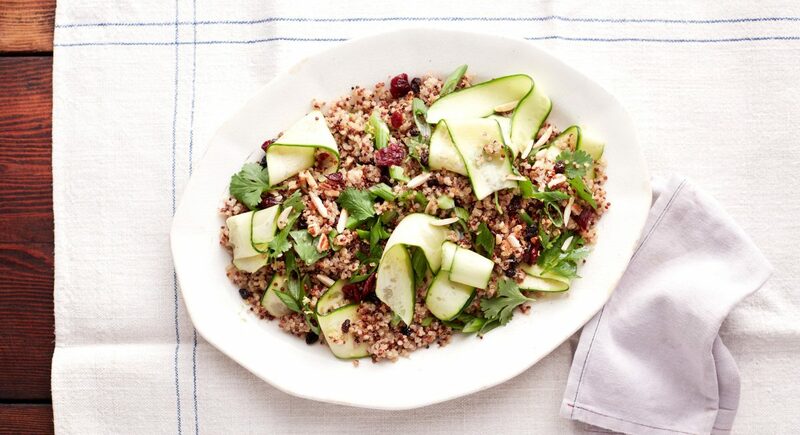 We use tri-colored quinoa for a color pop, then toss it with dried fruit, herbs, zucchini ribbons, almonds, and toss it with a spiced dressing. Rice is actually a swamp grass. That’s right! It grows in long furrows filled with a few inches of water and is then harvested, processed, milled, and cooked to become the ingredient we’re all familiar with. Native to Asia, it’s a go-to in many kitchens around the world, and plays a big role in Japanese, Thai, and Indian cuisines. According to the Food and Agriculture Organization (FAO), rice is a diet staple of roughly half the world’s population. 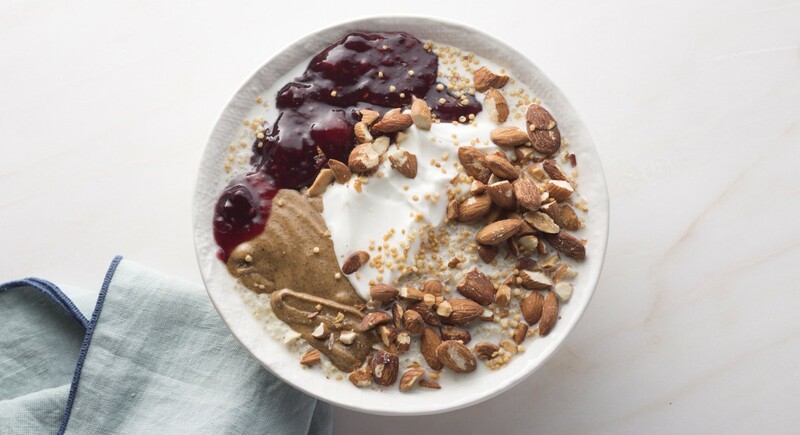 And it’s no wonder—this gluten-free pantry powerhouse, one of the oldest grains on the planet, can go from breakfast to dessert with ease. From white rice to brown rice and even wild rice, there are plenty of varieties to choose from depending on your preference and dietary needs. 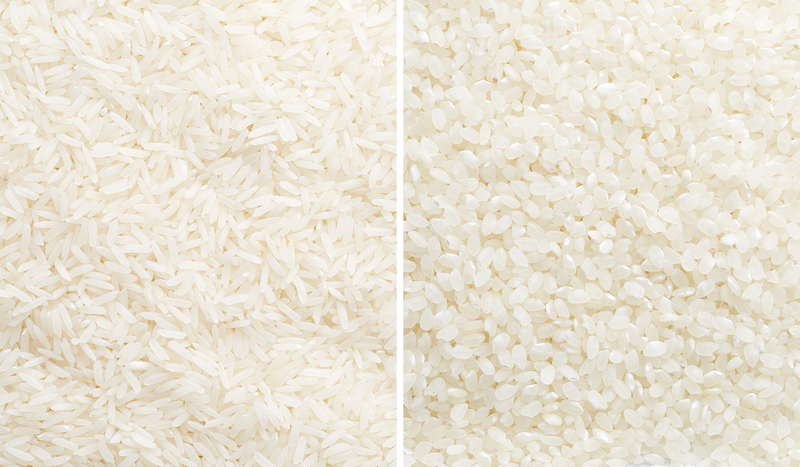 Let’s dive in to what makes rice so versatile. When it comes to the nutritional content of rice, your color preference will dictate some of the health benefits. For example, white rice is basically brown rice that’s been milled to remove the outer husk and germ, which is where most of the nutrition is stored. 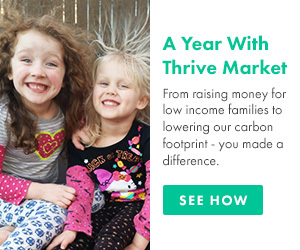 Here are some of the best rice products Thrive Market members love to stock up on. Grown in the Golden State, this organic grain cooks up with a soft, fluffy texture and possesses the sweet scent of jasmine. If you’re making risotto, arborio rice is only way to go to get that unmistakable creamy texture. Perfect in stews, sauces, meats, and salads, this brown basmati rice adds a hearty, nutty flavor to whatever you serve it with. Brown rice retains the grain's outer husk, giving you a fiber boost that supports colon health and weight management. It also has a low glycemic index, so it won't spike blood sugar levels. With a rich and nutty flavor, our sprouted brown rice can stand alone as a side dish, but also works as a solid base for soups, salads, and stir-fries. Legend has it that this ancient grain—prized for its roasted flavor, soft texture, and gorgeous purple hue—was once eaten by the emperors of China. For a non-dairy alternative, look to this “milk” made from only four ingredients, including rice. We love it in baked goods, smoothies, or even our morning coffee. With a perfect pot of rice at the ready, anything is possible (at least when it comes to dinner). 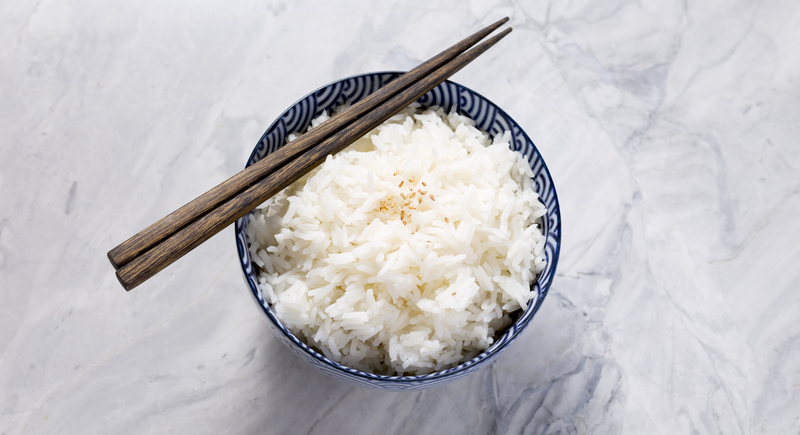 Master these basic techniques and you’ll be ready to whip up your favorite rice dishes in no time. Don’t forget to get creative—cook it in chicken stock instead of water for more depth of flavor, or finish the rice with fresh herbs or chopped nuts. Anything goes! Rinse rice in a colander until water runs clear. Add rice to a medium saucepan along with water and bring to a boil. Reduce heat to low and cook, covered, for 20 minutes, or until the rice is tender and water has absorbed. While the rice cools, bring rice vinegar, oil, sugar, and salt to a simmer over medium heat until the sugar dissolves; then stir the mixture into the cooled rice. The rice will seem too wet at first, but keep stirring—it’ll dry and become sticky as it cools. Rinse rice in a colander until water runs clear. Add rice to a medium saucepan along with water and bring to a boil. Reduce heat to medium and cook, covered, for 30 minutes, or until rice is mostly tender (the water may not be fully absorbed). Drain in a colander again, then return it to the pot and cover for 20 minutes to allow the steam to finish the cooking process. Uncover and fluff with a fork. Rinse rice in a colander until water runs clear. Combine rice, water, and salt in a medium saucepan and bring to a boil. Reduce heat to low and simmer, covered, for 18 minutes. Off heat, let rice stand 5 minutes before fluffing with a fork. Rinse rice in a colander until water runs clear. Add rice, water, and salt to a medium saucepan and bring to a boil. Reduce heat to low and simmer, covered, for 40 to 45 minutes, or until rice is tender and some of the kernels have burst open. Drain any excess liquid before serving. 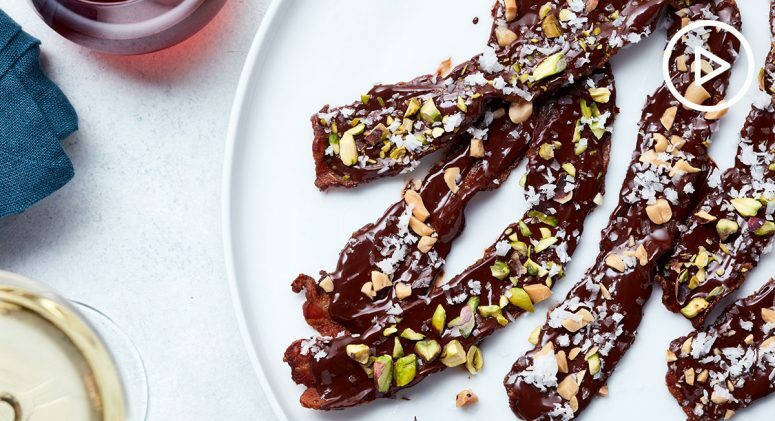 These dishes go well beyond a basic pot of rice to amp up meals from breakfast to dessert. Start your day with a steaming bowl of rice seasoned with turmeric and ginger. Top it with a runny egg and some roasted kale for an extra wholesome meal. Here’s a lightened up version of rice pudding with all the creamy richness of the classic dessert, minus dairy or added sugar. (You can thank the almond milk for that.) Top your bowl with sweet, roasted blueberries for a sweet finish. Get into the aloha spirit with a bed of perfectly seasoned basmati rice topped with jackfruit hash—our recipe gives the meaty Asian fruit a spicy kick from jalapeño. Instead of rolling your sushi, go vertical. A list of pantry ingredients like coconut aminos, sesame seeds, and rice vinegar make this easy to pull together, and you can even make the rice a day in advance. Make Indian takeout yourself by whipping up a rich tomato-based sauce simmered with garlic, ginger, and fenugreek seeds for authentic flavor. It’s simmered with tender chunks of chicken, plus cauliflower for even more nutrition. 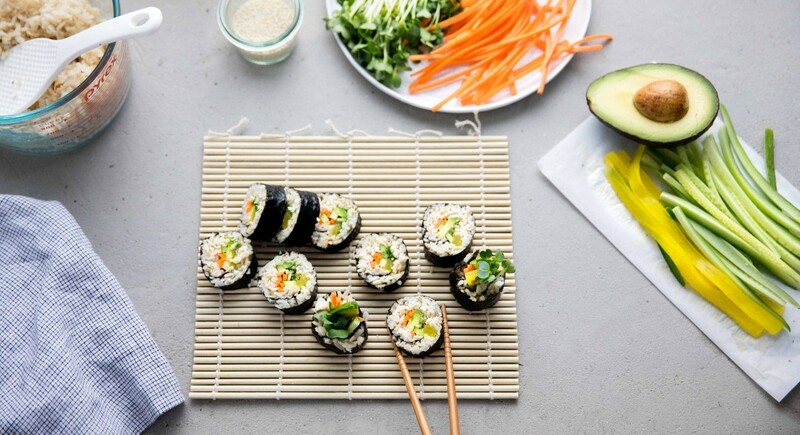 This workweek-friendly recipe features a sweet and spicy Asian-inspired sauce tossed with chicken, then rolled in a nori wrapper alongside sticky sushi rice and some fresh veggies. Here’s a recipe with fewer pots and pans to clean! While the rice cooks, it steams the chicken so every bite is extra tender. You can doctor up the toppings in all kinds of ways—try salsa, avocado, and crumbled cotija cheese. Whip up this hearty salad on warm nights, picnics, or anytime you need a simple supper. Brown rice and lentils are tossed with lots of sweet, salty, chewy and crunchy things like pistachios, apricots, dried cranberries, and lots of herbs. Breakfast, lunch, or dinner—it’s up to you when to serve this spicy dish! 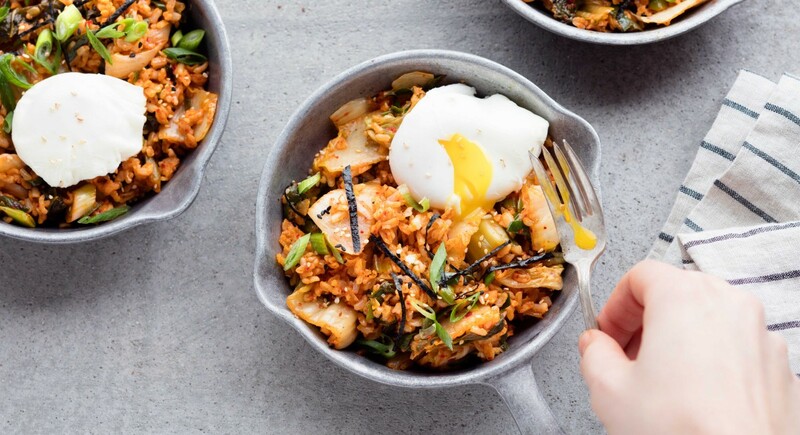 Here, rice is tossed with kimchi, nori, and sesame seeds for lots of umami flavor. In Japan, this dish is known as ochazuke—and made by pouring hot dashi or green tea on leftover rice for a quick midnight snack. Our version uses matcha tea, salmon, and lots of condiments for an elegant meal. Rice pudding can take on almost any flavor combo, and we love the medley of ginger, nutmeg, and cinnamon. Add a scoop of collagen powder to help nourish your body while you indulge in a little post-dinner treat. For a sweet ending, try caramelized pineapple atop a creamy bowl of brown rice pudding. Honey and orange juice adds extra gourmet flavor, too. 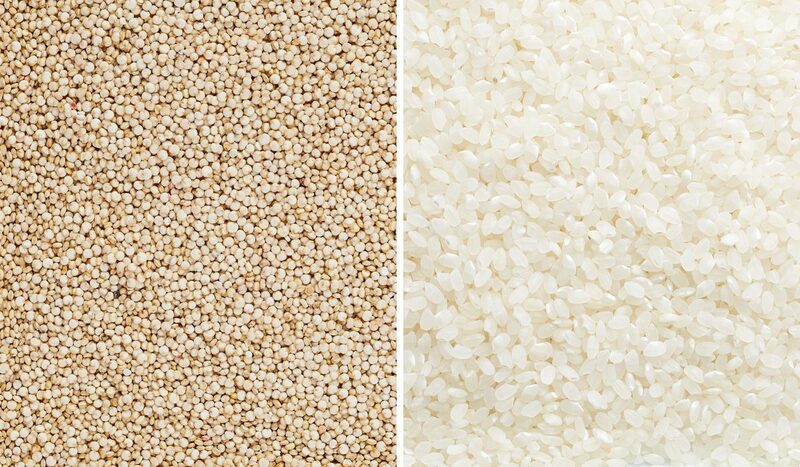 We’ve looked at quinoa and rice separately (and love them both! ), but here’s a cheat sheet outlining some of the key differences between the two. Brown rice—a grain—goes through a milling process to remove the hard outer hull, but that’s where things stop, keeping the rich bran layer intact. Quinoa is technically a seed, but also goes through a process of removing the bitter-tasting outer seed coating before it’s packaged up and ready to cook. Nutritionally, quinoa offers 6 grams of protein per serving, while brown rice has 4 grams of protein. White rice goes through additional rounds of processing to remove the bran. Quinoa edges out white rice when it comes to nutritional value. Quinoa has 6 grams of protein per serving plus 3 grams fiber, and 11 grams of your daily recommended value of iron. White rice contains half the amount of protein, and not as much iron. Wild rice and quinoa are both great options to include in a healthy diet. Wild rice offers about 6 grams of protein and 3 grams of fiber per serving, which is on par with quinoa. One difference between wild rice and quinoa is all about texture. Quinoa is light and fluffy, while wild rice is a bit more toothsome and chewy. Rice and quinoa can go head-to-head where color is concerned—both come in gorgeous black varieties that add a pop of color to your dish. Black rice is often labeled as wild rice, forbidden rice, and certain varieties of jasmine rice are black. Black quinoa has an earthier flavor and is slightly sweeter than white quinoa. One of the ways jasmine rice stands out is its fragrant perfume. Popular in Thailand as well as other parts of Southeast Asia, this long-grain rice is typically served with curry and seafood dishes. Try cooking it with coconut milk or broth to add even more flavor. Quinoa, on the other hand, doesn’t have quite the same floral aroma. But both ingredients can be cooked on the stovetop, boiled with water until the liquid is absorbed, and work beautifully in salads, side dishes, bowls. Basmati is a long-grain rice that hails from the foothills of the Himalayas in India. It’s often served as the main ingredient in classic biryani, a mixed rice dish, and is sometimes flavored with turmeric or saffron for a distinctively yellow hue. Basmati is a little bit nutty and a little bit floral (not unlike jasmine rice), but basmati has a slightly softer grain. In terms of nutrition, quinoa has the edge: Basmati rice has slightly more calories per serving than quinoa, and quinoa delivers more fiber and protein. Cauliflower rice and quinoa are both popular rice alternatives. Cauliflower rice is simply the raw veggie that’s been ground down to a similar consistency to rice, and cooked in a similar way. Like quinoa, cauliflower rice takes on the flavors it’s tossed with, so you can get creative.